Social media has long been a platform on which people share and connect in good times, bad times and just for the day-to-day stuff. When the really big bad stuff happens, some choose to batten down the hatches, while others choose to reach out on social media. One inspiring young man decided to take things further and create his own platform. Jack Morgan, 21, a maths engineering student at Bristol University (specialising in AI and data science) was diagnosed with an extremely rare Stage III cancer in October 2017. Months of intensive treatment followed. The Alyth Synagogue member set up an Instagram page to document his journey with an honest and inspiring approach. Initially followed by close family and friends, it gathered pace and gained 3,600 followers. “Being on social media throughout my illness was incredibly positive,” says Jack. However, Jack felt that there was a need for a dedicated platform to enable people in the cancer community to share with others. “When speaking to other patients and survivors I discovered that they don’t always feel comfortable sharing everything on social media as other people won’t necessarily understand. 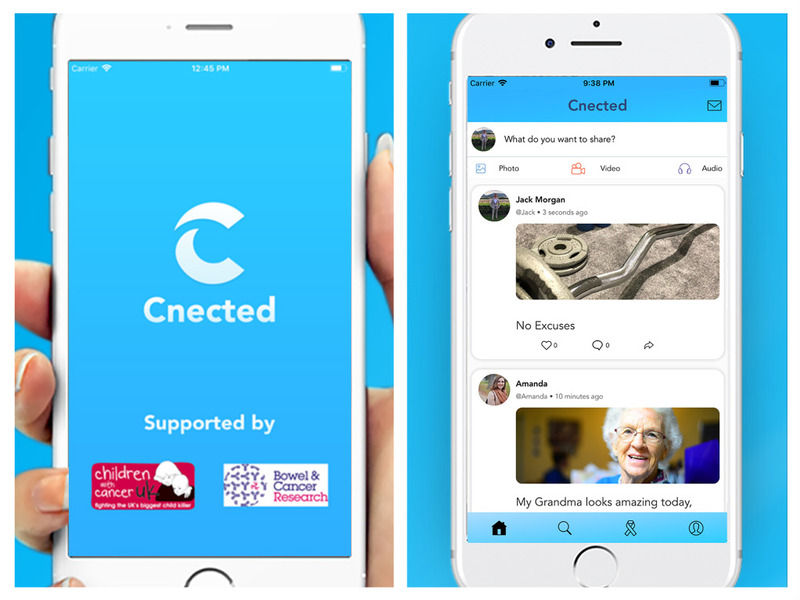 Earlier this month, Jack, whose family lives in Finchley, launched Cnected, a free app to bring together anyone affected by cancer. 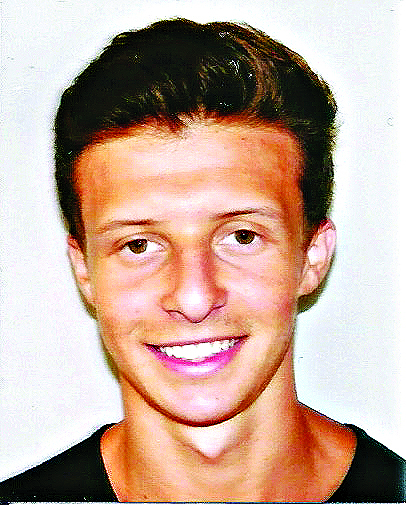 He designed the app himself and built it together with another student at Bristol University. 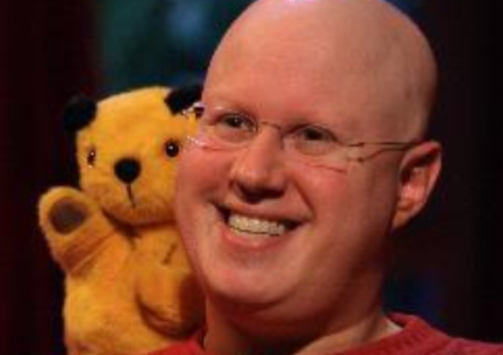 It has already had hundreds of downloads and support from the worlds of entertainment and sport, including comedian Matt Lucas and West Ham player Declan Rice. “My friend Jack Morgan has survived cancer and has created a dedicated community for cancer patients, survivors and caregivers,” tweeted Lucas. Declan tweeted: “My good friend Jack Morgan had a rare tissue cancer that they didn’t have a name for. He went through rough times but stayed strong and now is cancer free. With this app, he wants to help others and bring people together. The app has been well received by cancer charities and The Royal Marsden, where Jack was treated, will be putting flyers in the hospital to encourage people to download it. He has meetings planned with many other high-profile charities and is filming segments for the BBC and Stand Up To Cancer. “The more organisations, survivors, patients, carers, family members and friends I bring together, the greater the benefit for us all,” he says. Jason Rigby, head of fundraising at Children with Cancer UK, says: “We are delighted to be working with Cnected. Alex Zylko, communications and fundraising officer at Bowel & Cancer Research, says: “A diagnosis of cancer is a life-changing experience. “Living with this diagnosis is – for the individual, for their family, for their friends and for their colleagues – one of the hardest things anyone will ever have to do. Joining a community of people who, from experience, know what this is like [and] could make such a difference to people’s well-being while dealing with the disease. Following intense and aggressive chemotherapy and radiotherapy for head and neck tumours, Jack has been given a clean bill of health. 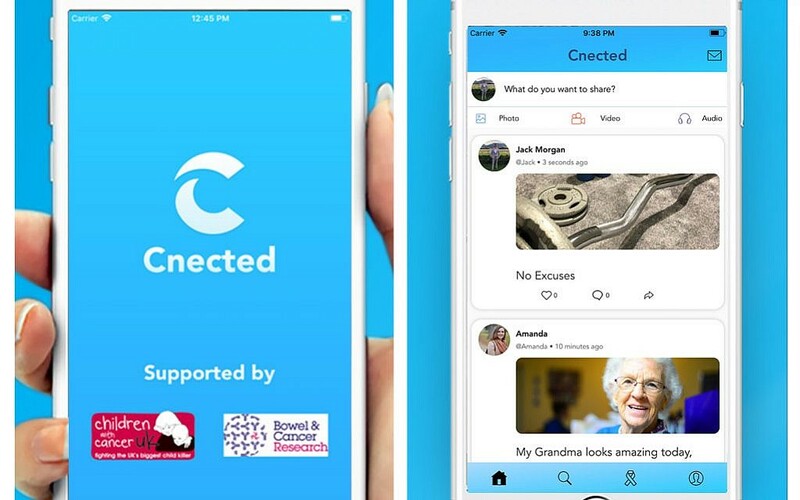 By bringing the global cancer community together via the Cnected platform, his aim now is to make life easier during the roughest times for those affected by cancer.